The theme of last weeks conference was PIVOT. 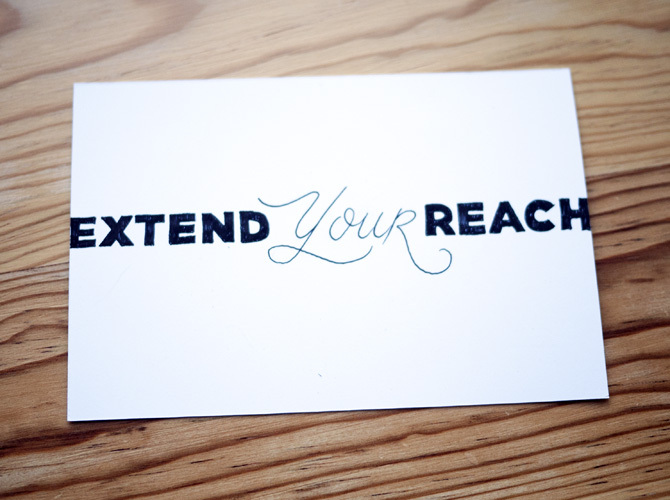 Everyone had there use of the word and explained possible ways to pivot, but my favorite definition of the word was to “extend your reach.” Yes, we think of pivoting as a basketball maneuver sometimes and many think of it as a way to move a new direction, but it is also a way to extend yourself from one location. I love the idea of the saying and the encouragement we were given to find ways to reach out in new ways. The conference was full of thoughts on how to change your way of thinking, finding new solutions and thinking of design in a new light. All great things. However, my one take a way is apply those ideas of change and new directions, but also to never forget who you are and who you want to become. It doesn’t matter where you live… maybe its a island, maybe a big city or on a mountain… learn how to extend your reach from where you want to be!